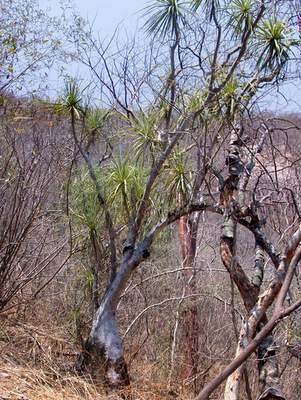 This member of the Nolinaceae family was given this name by Luis Gerardo Hernández Sandoval in 1992. It is found in Guerero in Mexico, growing in a well drained soil with some water and some to lots of sun. The caudex can grow to a meter and a half in diameter, the entire plant to four or even six centimetres in height. The flowers are white to pale yellow.